Mill Creek Alliance is excited to facilitate a composting pilot program for the neighborhood of Northside. In partnership with GoZERO Services-Food Waste Compost Courier, this exploratory project will determine if community composting is sustainable for Northside and the City of Cincinnati. There are three ways YOU can get involved (see below)! Every Wednesday from 4-7, the Mill Creek Alliance hosts a collection booth at the Northside Farmers’ Market. Pay $3 for a 5-gallon bucket and 1 drop-off, or pay $10 for 4 drop-offs. Pay $1 for a 2-gallon bucket and 1 drop-off, or pay $3 for 4 drop-offs. Mill Creek Alliance offers weekly compost collection for residents. Simply sign up to receive your first month of service. The Green Corps will deliver a lidded 5-gallon bucket and compostable liner that you can fill with food scraps. Then simply place the bucket on the curb by Thursday morning for the corps to collect and weigh your food waste and provide you with a clean bucket and liner. Sign up below for one month of curbside collection ($15). After you register a member of our team will contact you to deliver your first empty bucket and provide specific instructions so you can start collecting food waste. By taking part in this project, you are helping keep waste out of landfills and making Cincinnati a more sustainable city. Mill Creek Alliance offers weekly compost collection from local businesses. Please email Micah at mjohnson@themillcreekalliance.org or call 513-563-8800 to learn more or to sign up. All waste is picked up by GoZERO Services, who sells the finished compost on their website. Because the food waste is processed in an industrial facility you can compost BPI-certified compostable plastic products, cooked meat, dairy, and wood, in addition to fruits, vegetables, beans, baked goods, grains and pasta, eggs and eggshells, coffee grounds, and soiled and wax-coated paper. Any questions? Just ask! Research shows that up to 71% of what foes into our landfills could be composted and 20% of methane emissions could be eliminated by composting. Compost nutrients are renewable, slow-release, holistic, and non-toxic, making it a sustainable solution to reducing waste going to the landfill. This program aims to connect youth the green jobs. Green initiatives are changing the way cities operate. Mill Creek Alliance’s Green Corps is a unique and Northside-based youth-driven workforce that provides the human power for this project. The Green Corps is designing and analyzing the effectiveness of composting by measuring the reduction of waste going to the landfill, as well as providing the necessary neighborhood collection services needed in order for this project to take place. 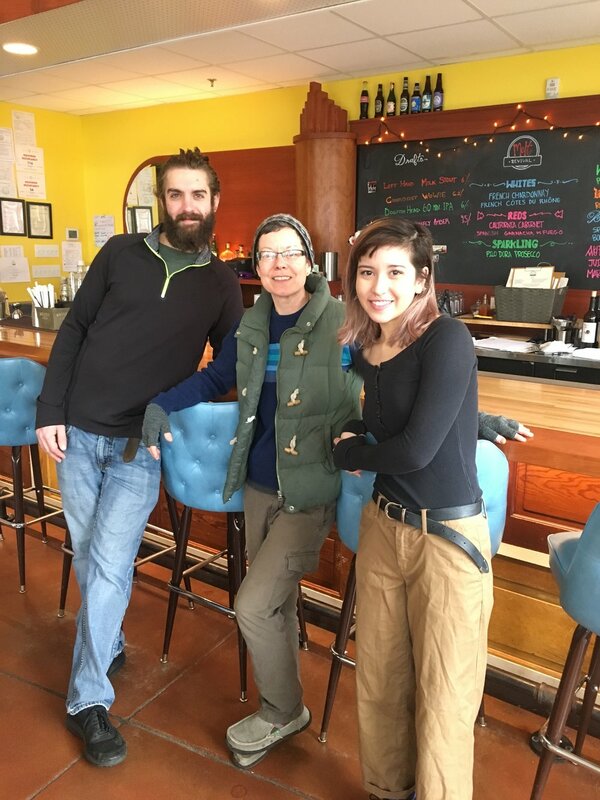 Northside Composts helps provide the Green Corps with sustainable employment and work experience in for them to serve the growing green workforce. This project is funded by a generous grant from Greater Cincinnati Foundation and support from Fuel Cincinnati is a partnership between Northside Community Council, Northside Business Association, Happen, Inc., Urban Artifact, and Mill Creek Alliance.